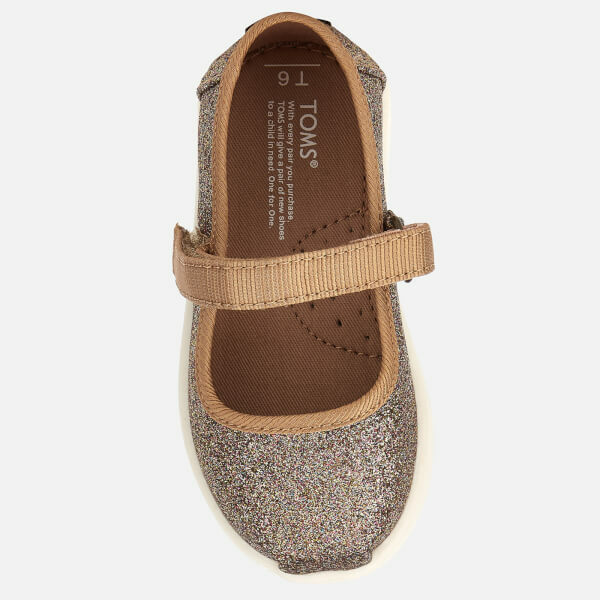 Toddlers’ ‘Mary Jane’ flats from L.A. footwear label, TOMS. A member of the One for One® family, TOMS match every pair purchased with a pair of shoes for disadvantaged children. 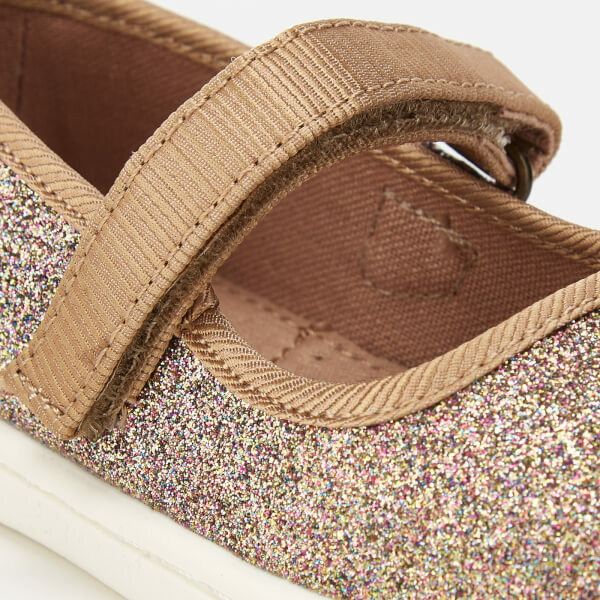 Crafted with shimmering iridescent canvas uppers, the classic pumps are fastened with an adjustable hook and loop strap with a D-ring closure for a secure fit. 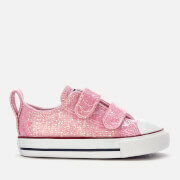 The vegan shoes comprise a rounded toe with TOMS signature toe-stitch and contrast coloured binding. The pumps sit on a textured rubber outsole for durability and traction. Complete with a woven TOMS label stitched on the heel.